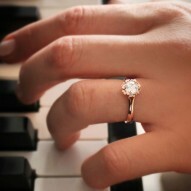 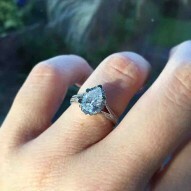 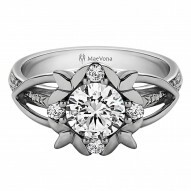 Delicate and unusual halo engagement ring named after the Scottish Crocus wildflower. 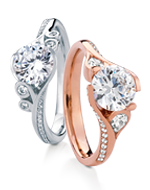 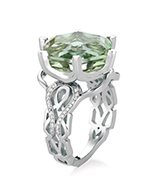 Beautiful twist shank flows around two bezel set marquise diamonds like vines with leaves. 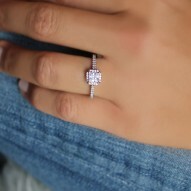 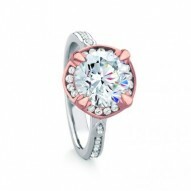 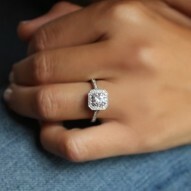 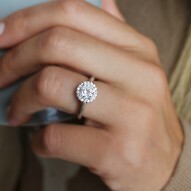 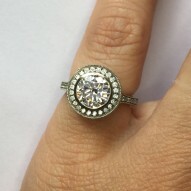 Center round brilliant cut is framed by a soft cushion shaped halo of graduating accent diamonds. 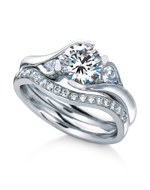 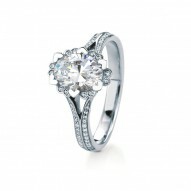 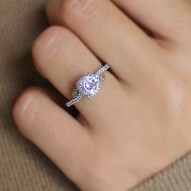 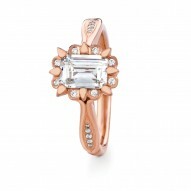 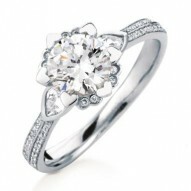 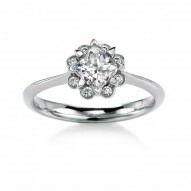 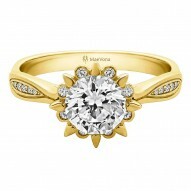 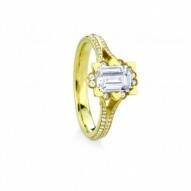 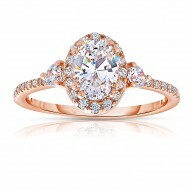 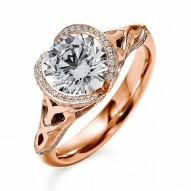 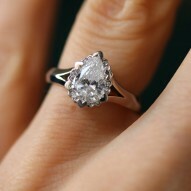 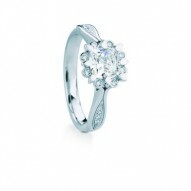 Priced with 0.36t of HSI round and marquise diamonds and WITHOUT CENTER STONE. 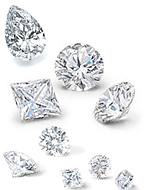 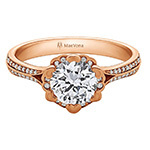 If you would like to purchase with a center stone please see our ADD A CENTER DIAMOND SECTION or call us on 1-888-MAEVONA.